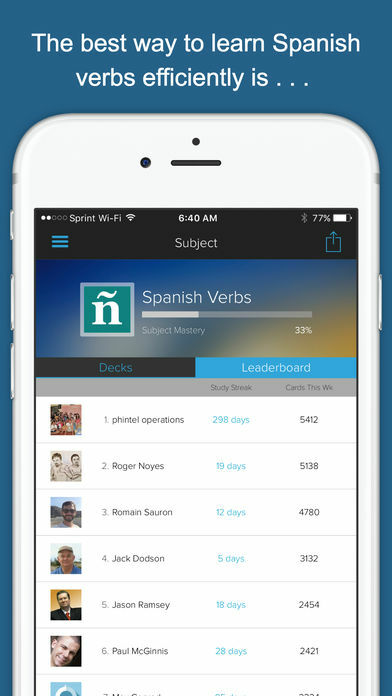 Nail the most common verbs on your Spanish quizzes and in everyday Spanish language. Drill yourself on Spanish verbs more efficiently. 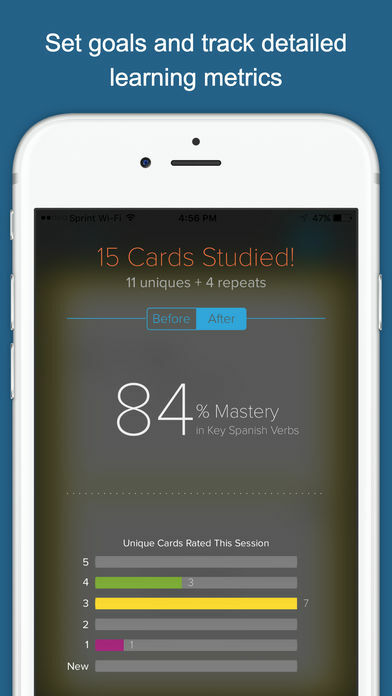 Brainscape provides a scientifically optimized algorithm to repeat flashcards in just the right pattern for your brain’s maximum absorption, based on your confidence. 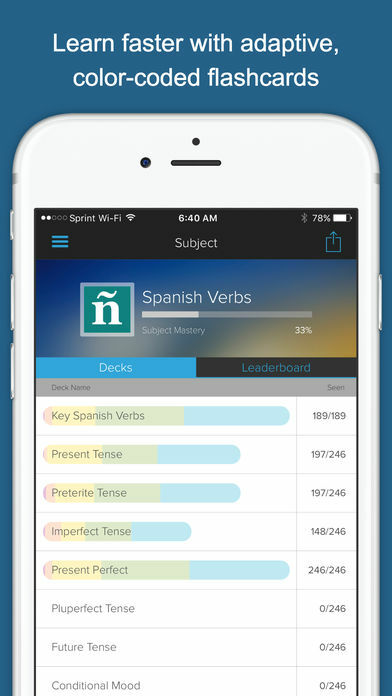 Learn Spanish Verbs includes over 2,200 total flashcards covering conjugations for the present, preterite, imperfect, present perfect, pluperfect, future, conditional, present subjunctive, and imperfect subjunctive tenses of the 246 most commonly-used verbs in Spanish. 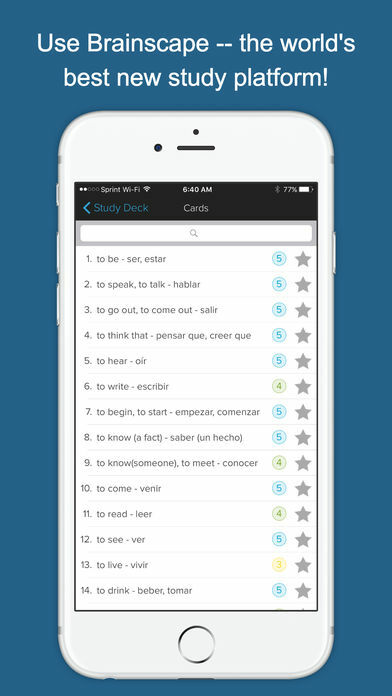 The app helps you to learn the meanings and pronunciations of the most common Spanish verbs. Nail the most common verbs on your Spanish quizzes and in everyday Spanish language. 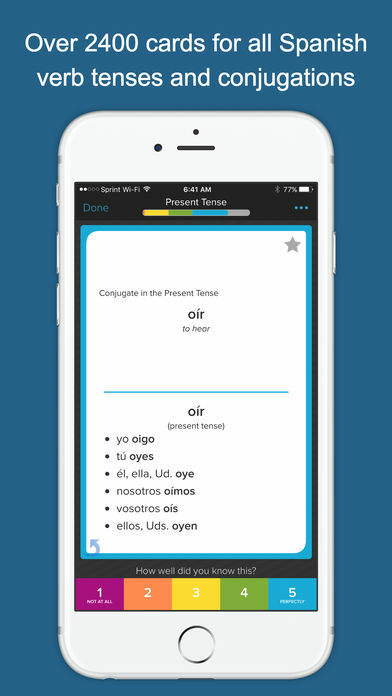 Drill yourself on Spanish verbs MORE EFFICIENTLY than with any other app on iTunes. Applying the latest in cognitive science, Brainscape repeats conjugations in the optimal pattern of repetition until you have truly internalized them.